This cross promises to be one awesome hybrid. 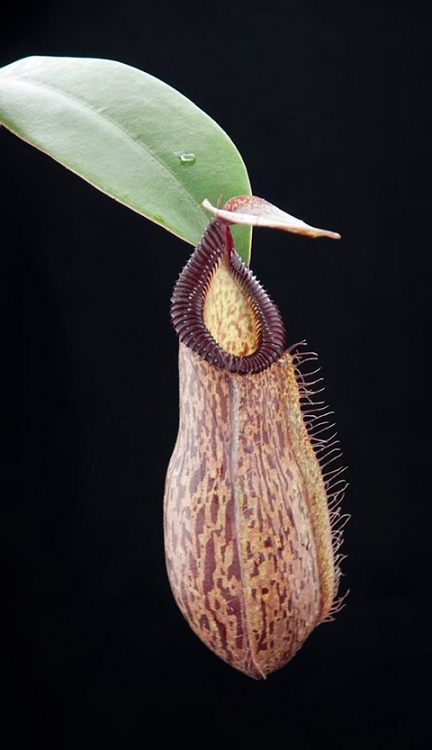 The female parent is BE's wonderful clone of Nepenthes sibuyanensis with HUGE rich orange pitchers. Couple this with the wickedly toothed peristome of Nepenthes hamata with from Gunung (Mount) Lumut, and these will be show stoppers as they get larger! These are assorted clones too, so there will be male and female plants in the mix. Medium plants 3 to 6 or more inches in diameter, shipped potted and ready to grow in 4-inch pots, not bareroot as you find with many other suppliers.